Luxe Residency, boasts of an ideal location as it is in close proximity to the Olive beach as well the cosmopolitan life of Chennai. The hotel offers decent accommodation at affordable prices. The rooms at the hotel are quite compact with simple interiors. 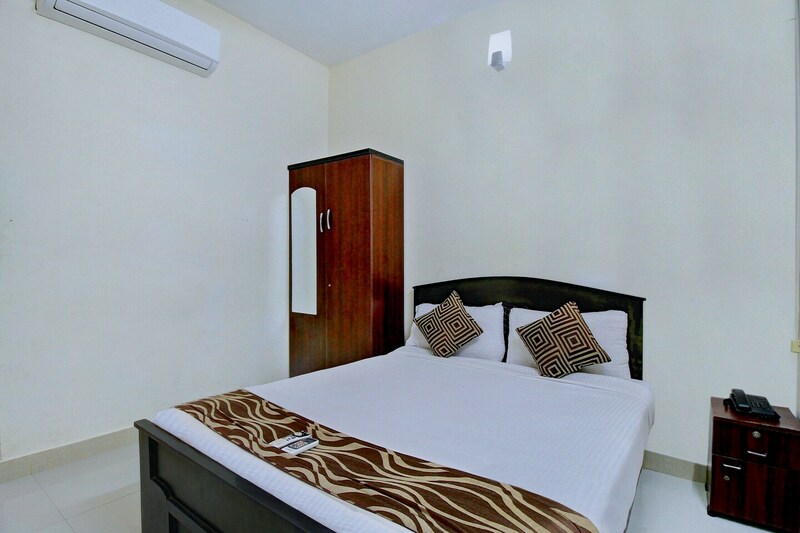 The rooms provide the guests with all the essentials like TV, wardrobe, bed and an attached washroom. The hotel is quite close to the Sai Baba Temple and is preferred by many pilgrims. Bus stops are also at a walking distance from the hotel. There are many restaurants and markets located very close to the hotel that can be explored by the guests. Best restaurants to consider are Nila Soru, Rollin' On Highway 49, Grillz, Cheesy Juicy Burgers and Titoas Resto Bar.